Looking for a USED G7? Today’s capital equipment must be more flexible and capable than ever. 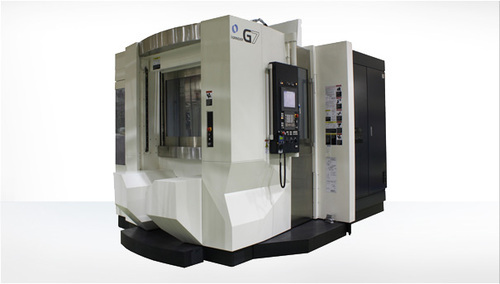 With this in mind, Makino has introduced the G7 Grinder 5-axis horizontal machining center, capable of grinding, milling, drilling and tapping, all on the same machine. The biggest advantage of a machine like the G7 is its ability to eliminate non-value-added time in the manufacturing process. Because you can go from milling to grinding in one machine, you’re not only saving on capital equipment, but you’re also able to perform several operations in a single setup, eliminating all of the out-of-cut time that does nothing but add to your costs and lead-time. manufacture, sale and export of machine tools (machining centers, nc electrical discharge machines, nc milling machines, milling machines and cutter & tool grinding machines), cad/cam systems, die/mold manufacturing systems (dms), fms and other equipment. 110 ModelsView more about Makino Milling Machine Co., Ltd. Looking to Purchase a New MAKINO G7? Single Source Technologies S. de R.L. de C.V.
BENER - COMERCIAL IMPORTADORA E EXPORTADORA LTDA. CNC İleri Teknoloji ve Tic. Ltd. Şti. Shinsung G M T Co.
Edwin Roth & Co. (Pty) Ltd.
P & L Machine Tools Pty. Ltd.